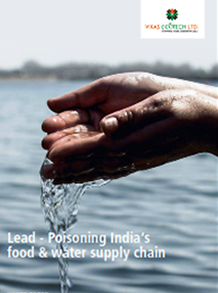 According to an investigation by the Quality Council of India, 33 percent of over 370 samples of water from the top 26 cities of India have tested positive for harmful content of lead. Another 2 percent of the samples failed to meet even the lenient Indian norms of 50 parts per billion (ppb). Out of these, 31 percent samples failed to adhere to the WHO standards of lead content of less than 10 ppb. 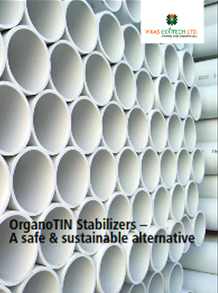 How Organotin (MTM) stabilizers can help Indian PVC Pipe manufacturers meet toxin-free global standards in manufacturing. Across the progressive nations of US, Europe and Asia use of lead-based stabilizers in PVC pipe manufacturing has been voluntarily ceased or mandatorily banned by the end of 2015. The global PVC pipe manufacturing industry has shown courage and acted responsibly in phasing out lead based stabilizers and plasticizers in Europe, US and some nations like Australia and South Korea.